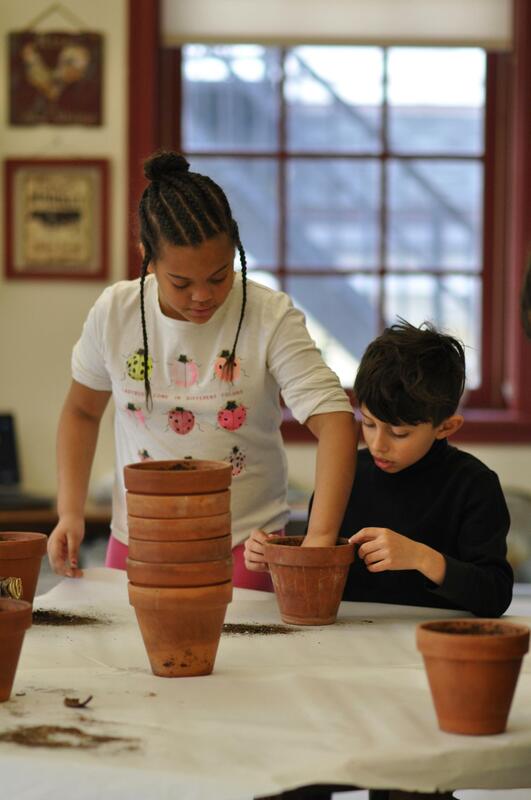 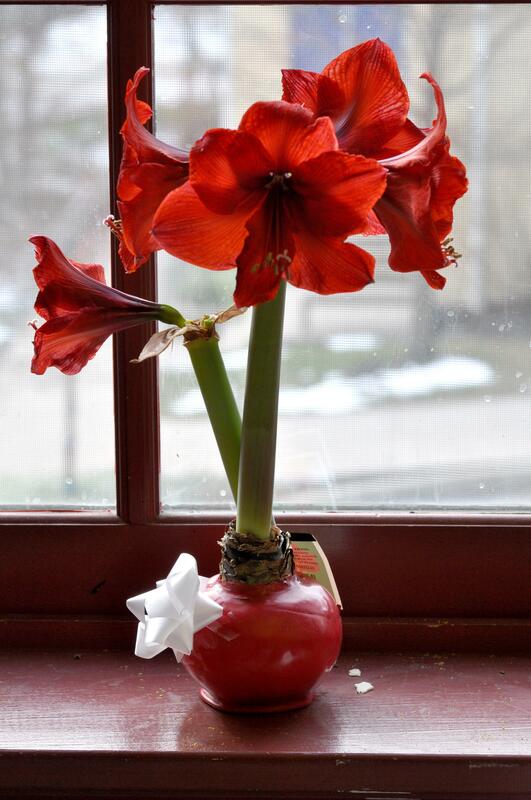 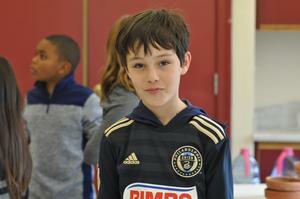 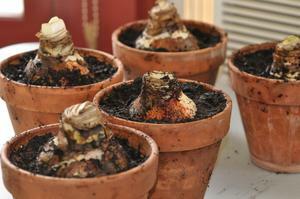 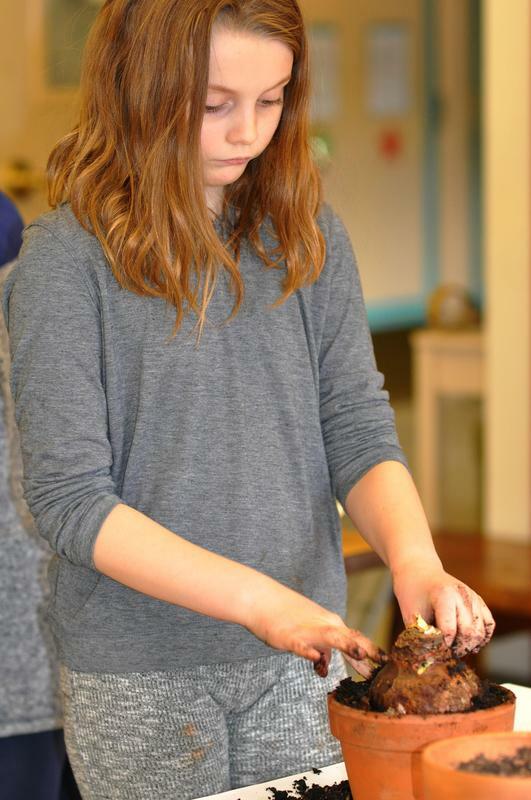 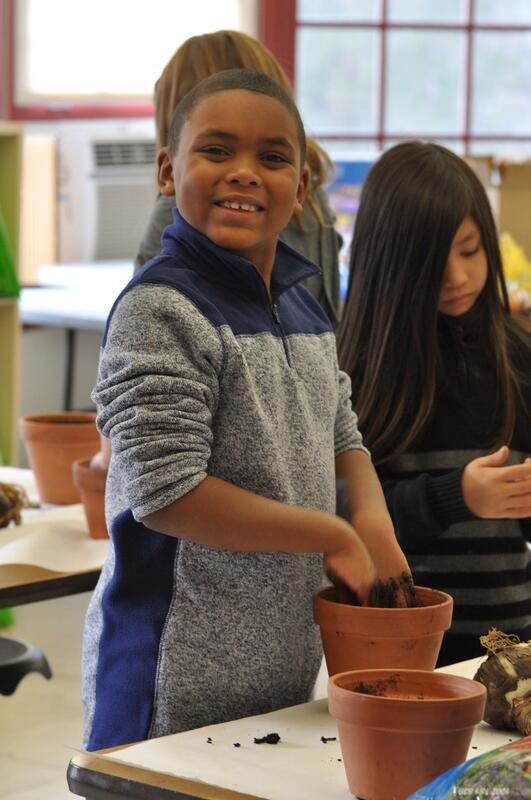 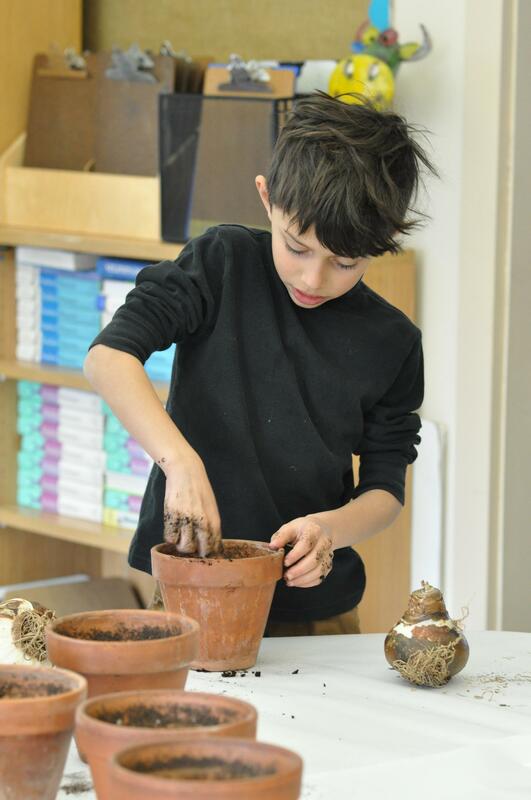 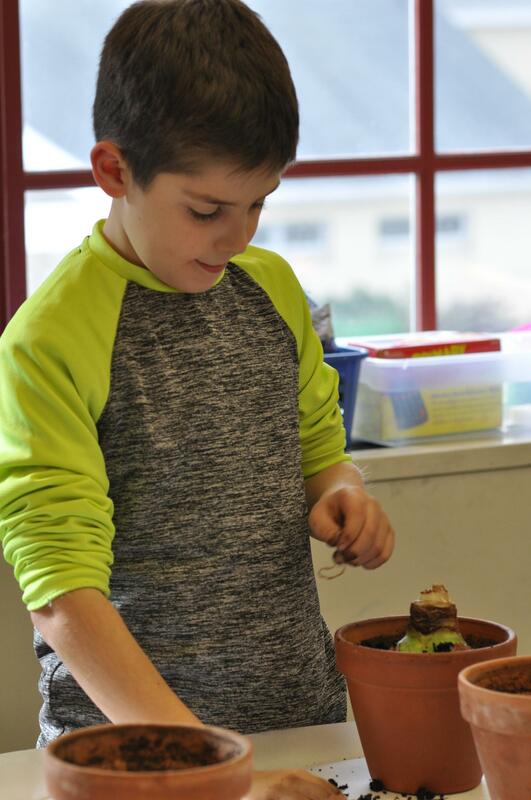 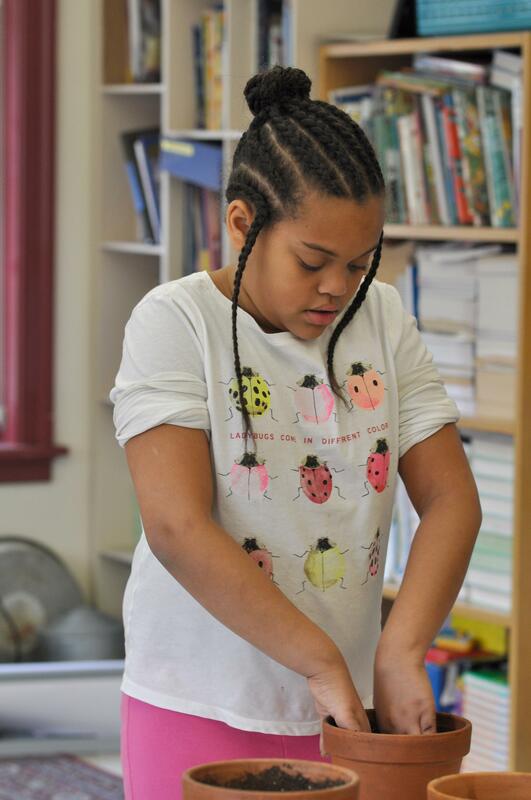 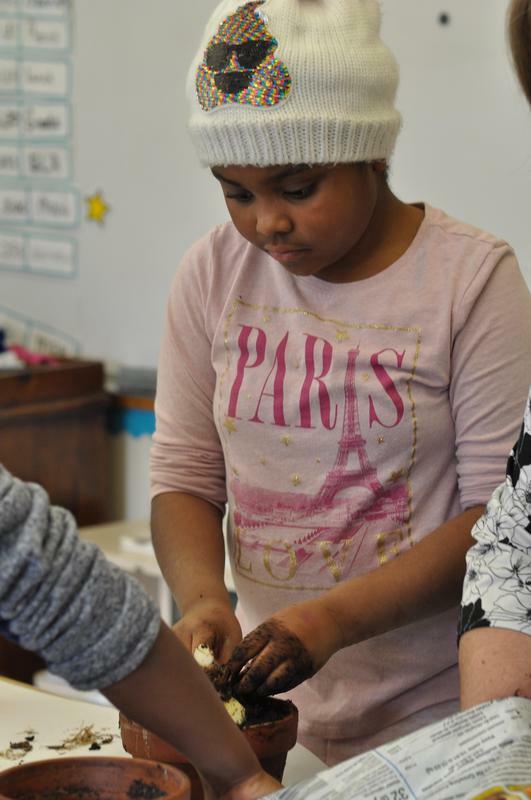 Grades 3/4 started planting their amaryllis bulbs in pots for their entries in the upcoming Philadelphia Flower Show. 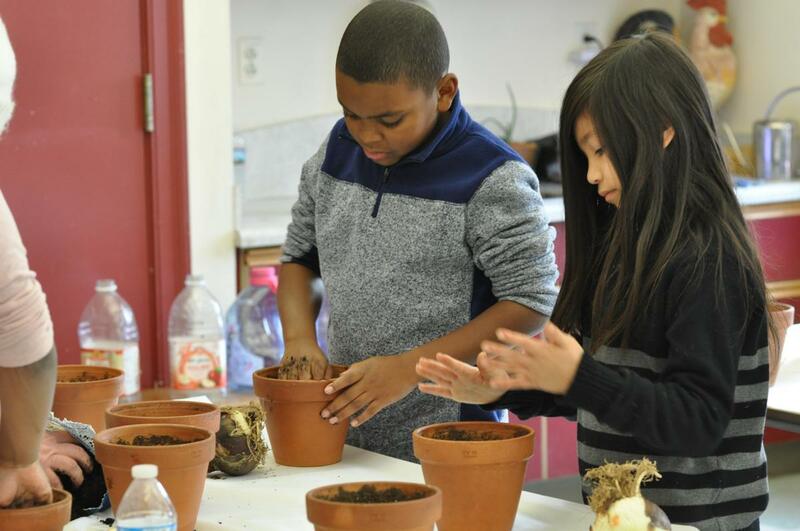 They first watched a video for an introduction about planting. Guided by Tr. 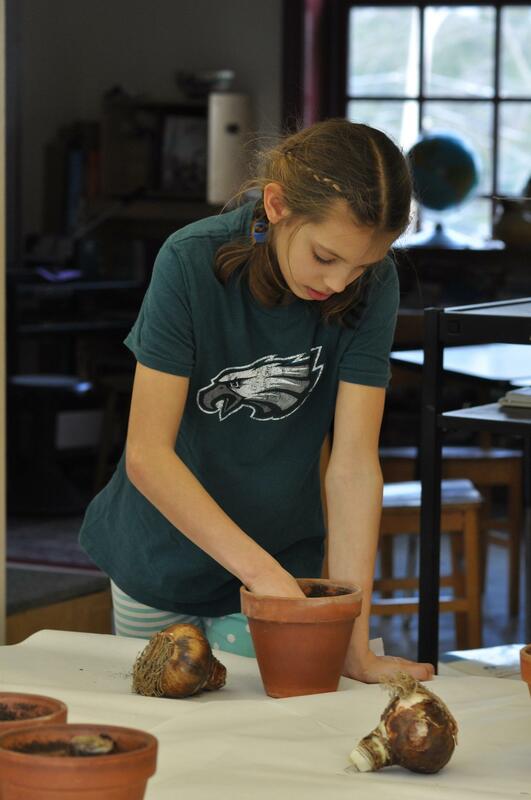 Dee, a seasoned flower show exhibitor, they will continue to care for the plants and soon enter them into Philadelphia Flower Show competition.